Ja-Ru Toys has been the leading supplier of impulse toys worldwide since they opened their doors in 1969. Classic toys and novelties from your childhood; they are perfect as a stocking filler or an addition to any party pack. 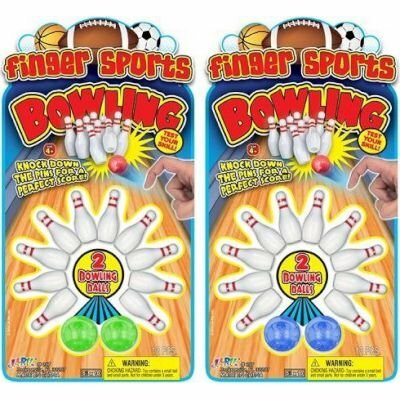 Knock down the pins for a perfect score with Finger Sports Bowling! Play against your friends almost anywhere!.